Figure: Where urban household insects prefer to live. Arthropods are insects and their close relatives such as spiders and millipedes. They can have six legs (moths), eight legs (spiders), or one hundred legs (centipedes), and fly or wander from the outside environment into the indoor world. Scientists discovered that urban household insects prefer ground-level, carpeted, high-traffic rooms with lots of windows and doors. Human messiness and pets do not seem to affect their choices. We have lived under the same roof with insects since humans first began building shelters 20,000 years ago. Today we spend, on an average, 90% of our time indoor. 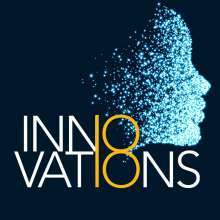 Scientists are now studying how the home we created for ourselves also support a complex indoor habitat for other life forms such as bacteria, fungi, or arthropods (insects and their close relatives like spiders and millipedes). 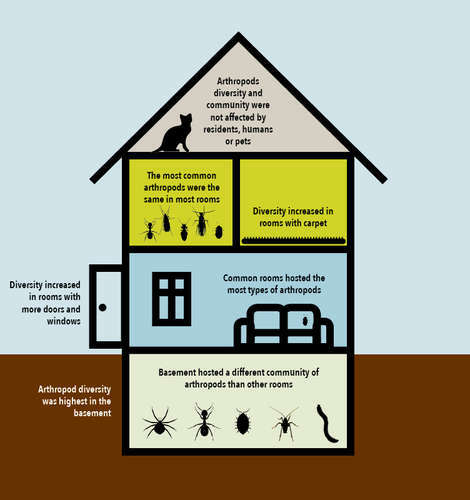 In a new study, researchers examined how the physical features of a home including floor plan, the number of windows, how tidy the rooms are and their sizes contributed to the diversity of insects and crawlers populating that home. The scientific team from the California Academy of Sciences, North Carolina State University, and the Natural History Museum of Denmark surveyed 50 urban homes in Raleigh, North Carolina. Their findings are published in the journal Scientific Reports. This research is part of a seven-continent exploration to understand overlooked life forms in the home, and their impact on co-existing humans. The survey shows that insects seem to prefer lower levels - as floor numbers increase, fewer types of insects thrive. Larger rooms, especially on the ground floor and in the basement, harboured more insect diversity. More varied types of insects were also observed in carpeted rooms versus those with bare floors. Airier rooms with more windows and doors offer greater accessibility to the outdoors and are preferred. Species diversity within the home also tends to mirror the life thriving outside in the surrounding area. A growing body of evidence suggests that some modern ailments are connected with our lack of exposure to wider biological diversity, particularly microorganisms. While uninvited insect roommates sounds unappealing, insects may play a role in hosting and spreading that microbial diversity indoors.” Dr. Michelle Trautwein of the Institute for Biodiversity Science and Sustainability at the California Academy of Sciences, senior author of the research paper, pointed out. Insect diversity also varies from room to room. 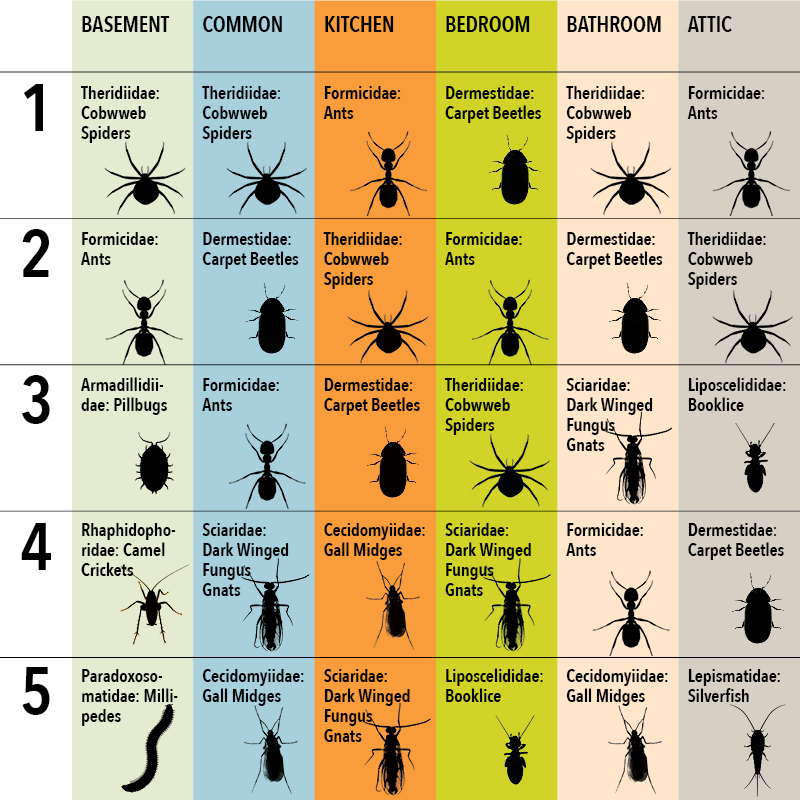 An analysis of core representative species including cobweb spiders, carpet beetles, ants, booklice, fruit flies, and ladybugs and others showed that common areas such as living rooms hosted more diverse communities of insect than those found in kitchens and bedrooms. Basements are cave-like in terms of climate and spare resources. They lent to greater diversity of insects than other rooms. Also, more cave-dwelling insects like spiders, mites, millipedes, camel crickets, and ground beetles are found. Several groups of insects commonly considered room-specific, such as kitchen insects including ants and cockroaches, were found fairly evenly across room types. Houses can be passive go-between for insects traveling through the neighbourhood landscape. The more numerous the entry points of windows and doors, the more diverse the community of insects that thrives inside. Every room within the home revealed a complex ecological structure of predator and prey, with scavenger species, strays from the outdoors, and transient go-betweens all playing critical roles. In this research, insect diversity did not varies significantly between houses based on the presence of dogs or cats, number of house plants, pesticide usage, or relatively levels of clutter and dust accumulation. However, the researchers pointed out that a previous study of dust samples from 1,462 houses across the US found greater insect diversity in houses with pets. This present research also found that the diversity of insect communities in the surrounding outdoor environment is the primary driver of their diversity indoor. Arthropods can have six legs (like moths), eight legs (like spiders), or sometimes one hundred legs (like centipedes), and fly or wander from the outside environment into the indoor world. Table: Ranking of insects by room type from most commonly found to least. The most frequently found insects across all room types are: cobweb spiders, ants, carpet beetles, dark winged fungus gnats, and gall midges. Other common insects include booklice, cockroaches, moth flies, mosquitoes, and mites.